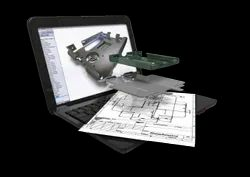 Do you need to take the burden off of your engineers for creating drafting and detail drawings? At Optimax we take on this service and our customers see the immediate benefit. 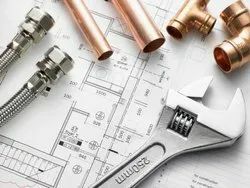 Our experienced engineering staff creates the drafting and detailed drawings by using your drawing templates and standards or ones that we have created. Our team focuses on proper layout, dimensioning, tolerance specifications, and adherence to standards, notes, title blocks, drawing number schemes or other key aspects of your drawings. Our team is well versed in any of the commercial software applications that drawings are created in. Are you embarking upon the development of a new product of product line? Our company focuses on helping bring you the product design that will place you out in front of the competition. We utilize CAD software to help produce full 3D solid CAD models, 2D detail drawings, and other design services that will help you reach production success. Our 3D CAD modeling designer is experienced and knowledgeable in drafting, design, CAD, and design analysis. Engineers and animation experts at Optimax create precise, detailed mechanical 3D models of the product. They start from engineering drawings, CAD files, or product samples, keeping in mind the end use of the animation. They can also create 3D models from hand drawings or sketches with 2D CAD data. Products samples are a good way for our team to gauge the client's expectations, and they create 3D mechanical animations that meet these expectations and standards. 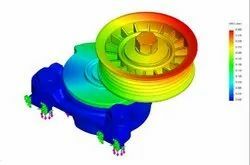 Optimax Technology Solutions is a user-friendly and efficient finite element analysis services provider . We optimize and validate each step in the design to ensure performance, precision, quality and safety.Our finite element analysis has become an integral part of process for design engineers and helped them reduce time and costs associated with rapid prototyping. Our mission is to become a confided long-term AutoCAD outsourcing solutions partner, by delivering high quality yet cost-effective CAD and BIM Services, to our clients. 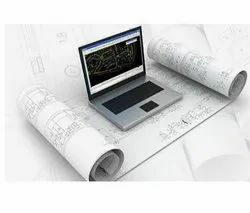 We have vast experience in providing a full range of CAD services from planning and structure to implementation and maintenance services at an unparalleled standard of flexibility. We provide accurate 3D CAD Modeling services for: Architectural 3D CAD Modeling. 3D Architectural Rendering. Structural 3D CAD Modeling. 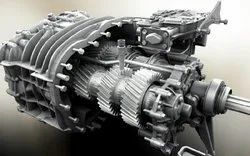 3D Mechanical Modeling. Industrial plants 3D Modeling. Piping 3D Modeling Services. Prototype Modeling. 3D Product Modeling. oupled Field is a term used in the engineering analysis world to describe models that include the interaction of more than one physical phenomenon. Examples commonly discussed include thermal-structural, fluid-thermal, and fluid-structural interactions. We at OPTIMAX are capable of handling any project from low scale to high. Years of experience and insight of fracture mechanism and crack infiltration & growth, allows us to carry out FEA analysis and physical testing in best possible manner. 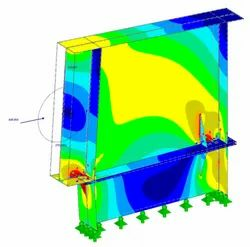 We utilize our FEA expertise and knowledge-base built from our extensive consulting experience in structural modeling material behavior to perform detailed fatigue analysis, helping clients predict fatigue life and crack growth simulation. 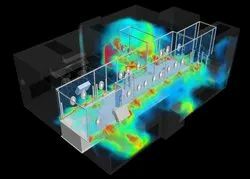 Optimax offers clients consulting services in thermal modeling of both solid and fluid systems, including interactions between these systems. We also assist clients in addressing problems involving transport of species or chemical substances. Our clients have used our analyses of their existing products both to understand performance and develop improvements, which in some instances has resulted in new intellectual property. 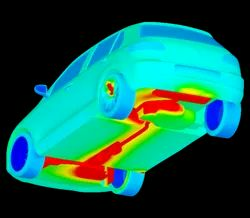 For thermal analysis we employ state-of-the-art Finite Element Analysis (FEA) and Computational Fluid Dynamics (CFD) methods both to analyze and visualize the thermal profiles in polymeric and metallic products, as well as in fluid systems. We solve heat transfer problems involving conduction, convection and ambient radiation, internal (cavity) radiation, phase change, natural and forced convection, and conjugate heat transfer. CFD Analysis. 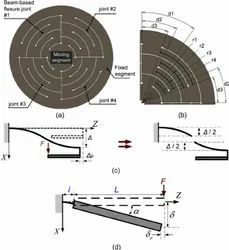 Computational Fluid Dynamics is a commonly applied tool to provide solutions for fluid flows with or without solid interaction. In CFD analysis, the check of fluid flow in accordance with its physical properties such as velocity, pressure, temperature, density and viscosity are shown.